Dr. Sylvia Chatroux collaborates with yoga teacher Mona Therese Winston to produce a new version of this 13-month calendar each year. 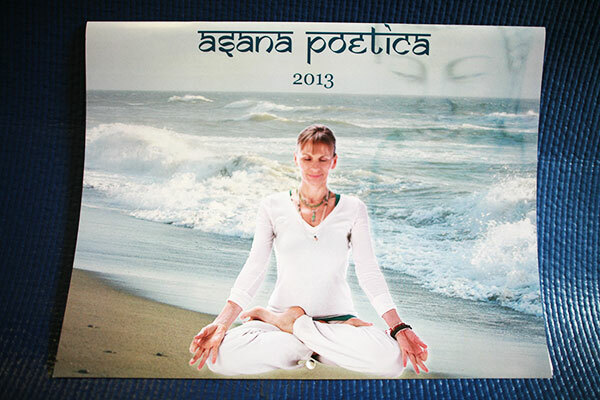 The calendar features beautifully photographed yoga poses combined with Sylvia’s poems outlining instructions for each pose. The calendar is intended to “entertain while emphasizing the metaphysical aspects and how each asana benefits you,” says Sylvia. Winston’s husband, Robert Patrik Winston, photographed the poses in Ashland, Mount Shasta, and Washington’s Olympic National Forest. Dawn Vivian designed the calendars. You may purchase copies directly from Poetica Press by calling toll-free 1-877-POETICA (if you are outside the US, please call +1.541.482.6156). Calendars are also available at Hersey Health Care, Soundpeace, and Spirit of Shakti as well as from Mona Therese Winston. As you take your stand.